Once again electric car pioneer Tesla Motors (s TSLA) is the lone firm out of its electric car peers that says it’s going to do something, and then actually (usually) does it. 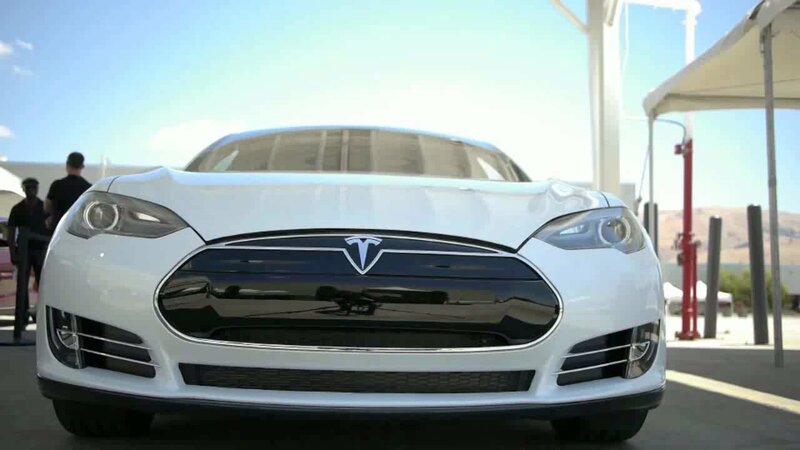 According to Automotive News, Tesla has now reached its goal of producing 400 Model S electric cars per week, or around 20,000 cars per year. This rate of production has been Tesla’s goal for months — if not years — and it’s a big step on the company’s path to profitability this year. Back in November, during its latest quarterly earnings, Tesla said it was on track to reach this milestone after having to scale back its original production goals a couple months earlier in September. It also means that all those customers on the waiting list to get their Model S cars — there were 13,200 as of the third quarter — will get their cars sooner, rather than later. However, as I’ve written before, Tesla seems to be the exception rather than the rule in the struggling world of independent electric car makers and batteries made for electric cars. Electric car infrastructure maker Better Place shuffled out its second CEO in as many months last week, and laid off a big chunk of staff in the face of very slow adoption of its electric car service in Israel. Electric car startup Fisker hasn’t made any of its hybrid electric Karma cars in months, and is looking for a Chinese partner, investor or acquirer with deep pockets to offer it a lifeline. Fisker’s original production goal at the beginning of its life was 5,000 Karmas in 2011, and it’s made around 1,900. A123 Systems, which has been making batteries for Fisker’s Karma, went bankrupt last year and then was bought by Chinese auto tech giant Wanxiang. For the auto giants like GM and Nissan, which have been making their own mainstream electric cars, production isn’t a problem. It’s just that sales are a little slow. GM sold a total of 23,461 Volts in 2012, up from the 7,671 sold in 2011, and Nissan sold 9,819 Leafs in 2012, according to AutoblogGreen. GM originally wanted to sell 45,000 Volts in 2012. So why is it so hard for independent electric car companies to meet their targets, and large auto makers to hit sales targets? For the auto giants, the market is only just emerging. GM’s Volt and the Nissan LEAF are the first mass produced plug-in battery cars on the market in the U.S. Auto exec Bob Lutz, who kickstarted GM’s Volt and is now on the board of some startups, says the transition to electric cars will be very slow. For independent car startups, commercial scale production can be daunting and take a lot longer than expected, too. Many things can go wrong, and the it can take months to streamline the process of auto manufacturing. Tesla was founded back in 2003, and its pilot car — where it made errors and suffered delays — was the original Roadster. It’s taken Tesla this many years to get to its closer to mainstream auto maker status just pushing out 400 cars per week. Would agree with Tojofay, the larger auto guys have to change their mindset and get real. What I have seen in the little I have experimented that both large autos and dealerships are scared of the reduced business for auto part vendors and its auto service network. Electric cars have fewer parts are more reliable and have little to no maintenance. This is the reason why you will not find stock at the dealers and they resist selling you an electric car in the first place or make it very difficult as an experience – few models or colors and long wait times. So net, basically the mindset has to change – the technology and users are there. Even if Tesla is managing it’s own, I think society needs to become more accommodating for electric cars before we’ll see them become truly mainstream. More street-side plug-ins is especially important. Electric is definitely on the sidelines, for now. Have you ever plugged your car into a block heater outlet? Last time i checked that was electricity. Why won’t Lutz just retire and go away? Talk about dinosaurs. I get ill when I see his name brought up in car future discussions. Please find someone else to quote. What ever his publicist is giving you learn to do without. It’s great to hear that smaller companies are starting to meet the quotas to be able to compete with the larger producers while still being green. These are the first steps to start making green more mainstream. With Penn State’s EcoCar2 Project, we are trying to redesign a 2013 Chevy Malibu to reduce greenhouse gas emissions and reduce reliance on petroleum. We are excited to see the outcome of the project and what students can do to contribute to this movement! It’s all about batteries right now, Tesla has by far the best battery solution. The ‘mainstream’ comment refers to the first mid size electric vehicle cracking 30,000$. Hmmm. Nissan’s Leaf is described as “mainstream” at 9,819 cars in 2012. 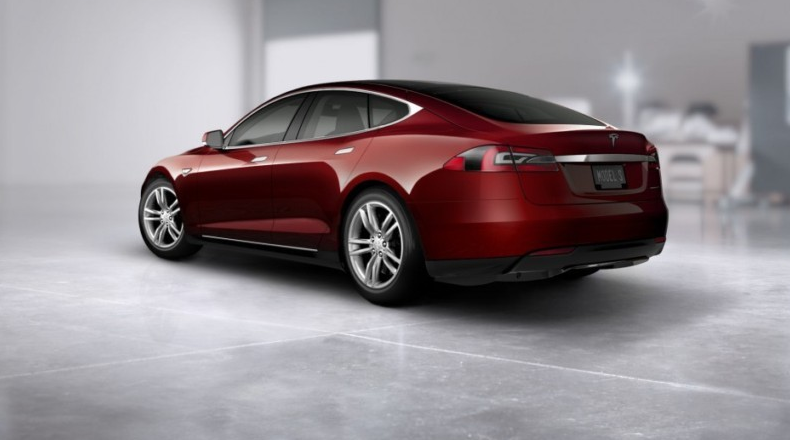 Does that mean Tesla will be mainstream if it actually sells out its 13,200 waiting list in 2013?